By default, when you're unavailable to chat, your visitors won't know. 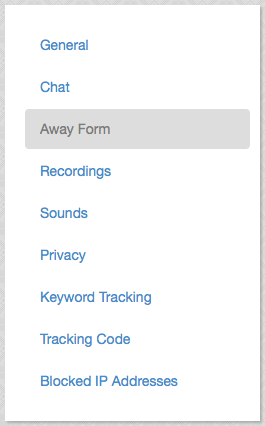 If you'd like visitors to be able to leave messages while you're away, you can enable the Away Form. To active the Away Form, follow the steps below. In Settings, locate and select the Away Form item in the sidebar. In the main Settings area, check the Enable Away Form box, and click Save Changes. Email Away Form to This Email — Enter the email address (or multiple email addresses, separated by commas) to receive any submissions when away from Chat. Email Subject Line — Enter the text you want displayed in the subject line of submission emails. Include Recording Link in Email — Check the box if you want a direct link to the Recording of the visitor who filled out the Away Form included in a submission email. As it's stated in Settings, you may need to log in to view any Recordings. Form Intro Text — Enter a few words to explain what the form is about. Name Label — Customize the text to be displayed above the "Name" field. 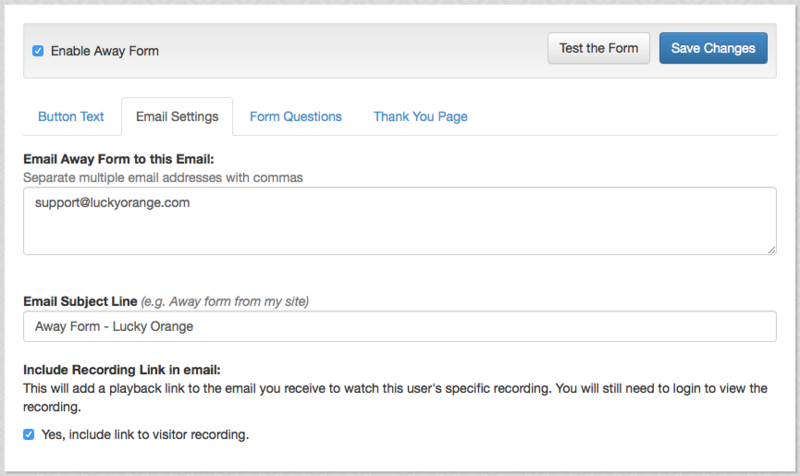 Email Label — Customize the text to be displayed above the "Email" field. Comment Label — Customize the text to be displayed above the "Comments" field. Submit Button Label — Customize the submit button's label text. 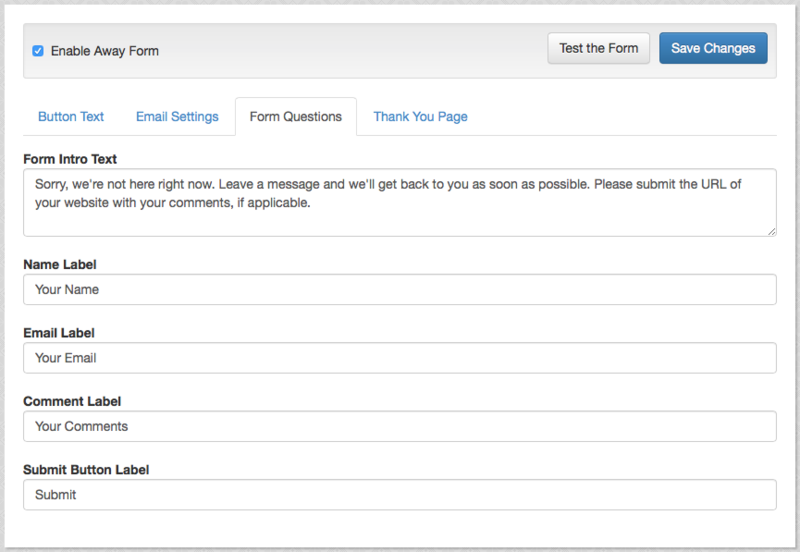 Thank You Message — Customize what is displayed to the visitor after he or she fills out the form. Pro Tip: The Away Form can be a great way to capture lead submissions and visitor feedback/questions on nights, weekends, and other times you may be unavailable to chat.